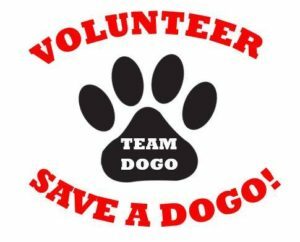 Looking for people who want to volunteer and help SAVE Dogos!! DC Dogos Inc is a non-profit 501(c)3 organization focused on saving the lives of Dogo Argentinos. The only way we can do this is with the help of volunteers who also have the vision to help this beautiful breed. We know that there are kind people who have strengths and capabilities to fill various roles within the rescue. Below is a brief description of the different roles we need filled. Interested volunteers are encouraged to submit a volunteer application for one or more of the roles they feel is something they can do to help!